1915 Commissioned into 4th Battalion Royal Inniskilling Fusiliers on 14 April. This battalion was described as an “Extra Reserve” battalion and was not ordered abroad. It was stationed at Buncrana, County Donegal and served as a training battalion for the regular battalions. Thus it is most likely that Norwood joined the 2nd battalion when he was posted to France on 29th January 1916. The 2nd Battalion was part of the 96th Brigade in the 32nd Division and had been in France since August 1914. When the Battle of the Somme started on 1st July 1916 the 32nd Division’s objective was Thiepval. 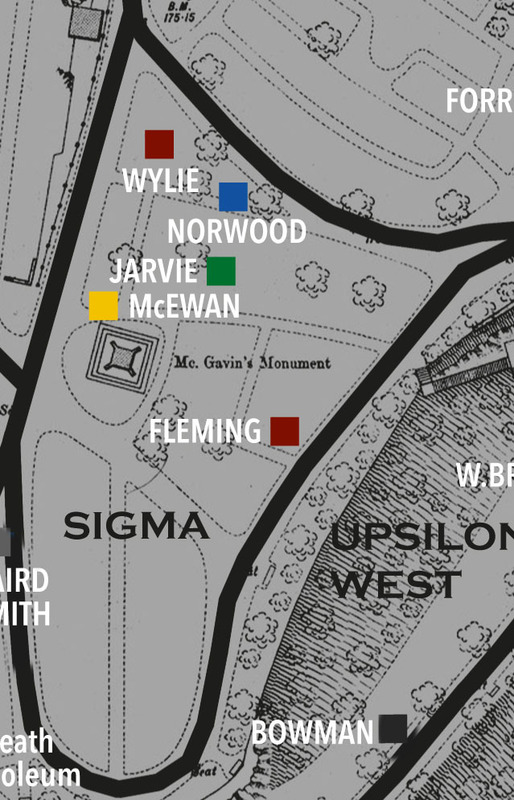 The battalion was initially in brigade reserve but was gradually drawn into the fighting. The battalion remained in the trenches until relieved on the 3rd July. After a few days out of the line it returned to the front line at Ovilliers on the 9th. Between the 9th and the 13th July it captured and held German trenches until relieved on the 14th. The regimental museum of the Royal Inniskilling Fusiliers records that Norwood died of wounds received at Ovillers but has no further details. Burial Gezaincourt Communal Cemetery Extension, I. C. 12. 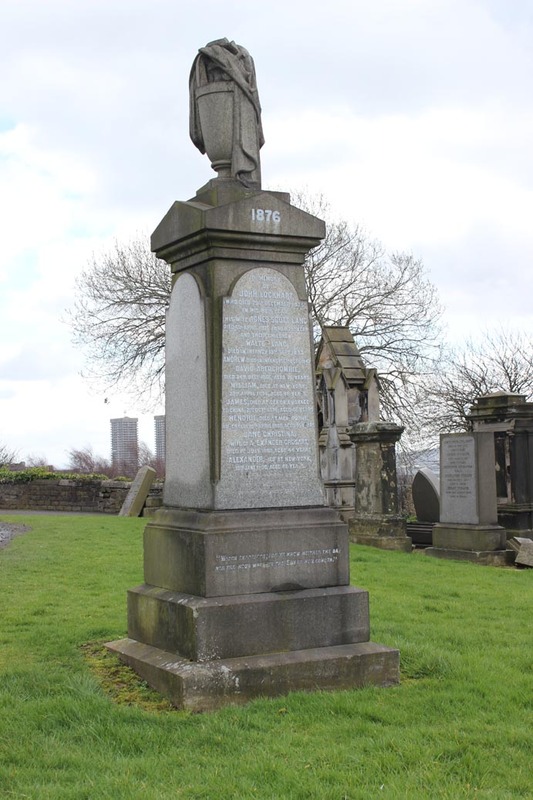 Son of John Cheesman Norwood and Maria Bradbury Norwood, of 24, Leven St., Pollokshields, Glasgow. Much of the information on which this profile is based is drawn from various internet sources which are listed below. 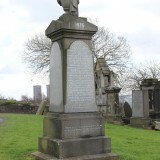 The Friends of Glasgow Necropolis also wish to make full acknowledgement and thanks for the permitted use of any information or images generously supplied specifically for exhibition, publication or display in connection with The Roll of Honour and accompanying profiles to The Inniskillings Museum, Ancestry, and Find my past.